**CURRENTLY ON BACK ORDER, ENQUIRE FOR MORE INFORMATION** Crash Structure remanufactured by o.. Crash structure remanufactured by ourselves using kevlar comosite. In our opinion this is str..
Genuine Lotus Galvanised Rear Subframe. 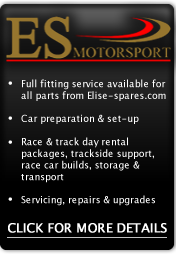 To suit all Lotus Elise and Exige with Toyota Engines..